India and America share a common spiritual destiny and a have unique role to play in the great golden age waiting beyond the veil. As twin flame nations, the people in these two countries have been given the responsibility for raising the consciousness of planet Earth to fulfill her divine plan. Shown above are the seven chakra cities of India/America: Base of the Spine-Chennai/Miami, Seat of the Soul-Hyderabad/Los Angeles, Solar Plexus-Mumbai/Detroit, Heart-Jaipur/Chicago, Throat-New Delhi/Washington DC, Third Eye-Rishikesh/New York City, Crown-Srinagar/Boston. 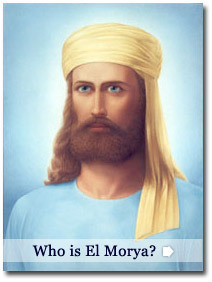 The Ascended Master Chananda is the Chief of the Indian Council of the Great White Brotherhood. He came forth in 1937 to assist Saint Germain, who is the founder of America, to implement Saint Germain’s plan for the freedom of the earth. Chananda assists the governments of the world. He is currently working on a top-priority project with the Darjeeling Council, the Ascended Master El Morya and unascended initiates of the Brotherhood. Part of this project involves the precipitation of a golden-age government based on the principles behind the Constitution of the United States. This God-inspired document was released to America by its founder, Saint Germain; when properly used and followed, it will provide the key to a golden-age civilization that is just beyond the horizon. We send forth the thoughtform of the converging of the flames of East and West……Now we look to the horizontal figure-eight flow on the East/West bar. We look to the interaction between the United States and India and we look to that interaction to begin on the spiritual plane and thereby carry a light and a momentum of the Great White Brotherhood. Therefore, placing the focal point of the Mother and her chelas in the West as one extreme of the figure-eight, we desire to see the nucleus of light in India established so that there can be a perpetual flow over this figure-eight, and over that flow the transmutation of planetary karma. The traditions, ancient, of Lemuria need the infusion of the new age and of the teachings of the Ascended Master Saint Germain. We welcome Saint Germain to India and to our home of light. 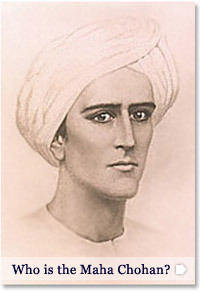 We open doors of our ashrams and we in search of chelas in our own nation who will listen to the teachings of the Ascended Master Saint Germain and not remain smug in their spiritual pride, thinking that because India has been first in spiritual traditions, that it is through India that this teaching of the new age must come. 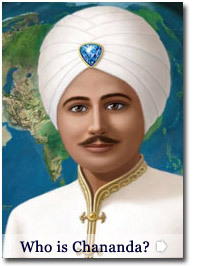 (1) It is most important that you cooperate in your calls to Chananda, to me, to Kuthumi and Dwal Kul, to Serapis Bey, the Great Divine Director and Saint Germain for the coordination of the divine plan for all of India and all America as one. Let us superimpose India on the map of the United States. Let us realize the fusion of these hearts, East and West, as the mighty fusion of twin flames. 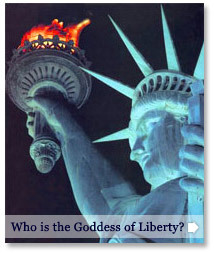 (2) Thus we would implant the pillars of sacred fire firmly in India and in the United States. And when we have set those pillars, we will continue in a logical formation and pattern around the earth. These are most critical. (1) Thus it is prophesied that out of the West, out of the very frontiers of cosmic consciousness shall come the image and the presence of the World Mother as the Saviouress to deliver unto that nation the teachings that shall be for the deliverance of this people of Lemuria. (2) Beloved hearts, many of the etheric retreats of our Brotherhood are now over soil geographically controlled by the Communists. We would not desire to see this occur in India and thereby cut off the light that flows to the pilgrims of the world and to have that which is of the grace of the Almighty under the mechanization and totalitarian regime of the fallen ones. It is unthinkable, and truly our light is a stronghold. But I also tell you, though there be adepts who keep the flame in the octaves of Matter, there are also in India today less devotees than ever before. Many have been swept away by modernization and civilization. Therefore, India is a dry and parched land spiritually, at some levels, and requires the great infusion of Saint Germain’s light. (3) When earlier in this century, I contacted Mark [Prophet] to be my amanuensis, I looked forward to the hour when all that he would accomplish would be transferred to our land by the blessed Mother. (1) Here then on this soil, in this nation, I plant the extraordinary light of my heart in the heart of the Messenger and devotees who have come to plant the flame of the Great White Brotherhood. (2) So let the tower be the sign of the pillar of fire of the Great White Brotherhood. Let the tower be, as in the hour of the Ancient of Days, the sign that the Great White Brotherhood has implanted a living flame, a guardian action, an open door of opportunity and that this nation under God, under the aegis of the Great White Brotherhood, might yet fulfill its fiery destiny. I AM the Maha Chohan. I consecrate life to the victory. I consecrate this forcefield to the victory of every child of God in India, across the continents and the nations. ---- The legions of Sirius draw nigh, for they are determined to manifest physically the ancient foci of the Great White Brotherhood that freedom, God-freedom shall not perish from the earth, from the hearts of her evolutions, and certainly not from the hearts of God’s children. Therefore heart to heart to heart, twin flames of the Holy Spirit will ignite a new age. And the golden age is born in this hour through the mighty threefold flame of life. Let all bow and adore and give reverence and life to this flame in these little ones....... Let the true meaning of the Holy Spirit and of Lord Shiva and of Christ’s own comforting message of the coming Comforter be taught in this nation. For truly, my beloved, truly the understanding and embodiment of the Trinity is what is needed here. Remember what I say this night, for in the keeping of my Word as well as my flame, you will conquer this subcontinent and move on to establish cities of the sun, nation by nation. Make haste, then for Morya waits and Chananda calls. The hearts of millions are in terror and we would deliver to them the joy of love, the joy of God’s will, the joy of overcoming through self-mastery and the grace of the Holy Spirit. (1) O India, O America --- blessed head and heart of our Brotherhood – may thy light endure and hold the balance through earth’s dark night of the soul! The Master M. and K.H. together with the Maha Sahib will renew the hundred – year cycle of their service through the chelas at Adyar, while the blessings of Sri Aurobindo and the Mother continue to light Pondicherry, and Yogananda and Sri Ramakrishna and the blessed mother lead the saints in the inner communion of their ancient ties to the unascended masters of the Himalayas and their interaction with the ascended masters. (2) It was the Mother flame that drew the emerging Son Jesus to the land of Maitreya and the home of Himalaya. Hierarchs of the inner retreats of the Brotherhood received him. Thousands of devotees welcomed him. And there he realized the fullness of his own Christhood and its portent as the avatara of the age of Pieces. So sacred is that ground! So holy is the flow of the River of Life through the Ganges! O blessed purifying stream of the Great White Brotherhood, draw now the chelas of the will of God to India to rescue there their brothers and sisters of light who have lost the thread of contact with our inner retreat. Chananda awaits the disciples who come out of the West unto the East bearing the flame of Gautama and Maitreya as representatives of the World Teachers. For we are ready and the Lord awaits the coming of his own. There is opportunity to study at the universities of India, to keep the flame of the Ashram of the World Mother, and to open a branch of Montessori International for the blessed children.